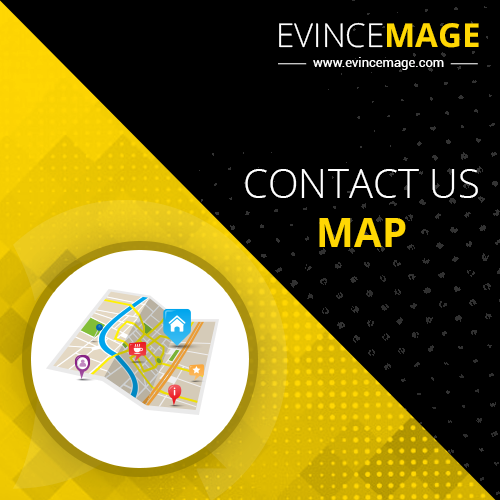 Allow customers to locate your business easily with our Contact Us Map Magento 2 Extension. Our Google maps extension makes it easy to makes it easy for the customer to easily locate the business using contact us with Google maps Magento 2 extension. Our Magento 2 Contact Us Map extension allows the admin to add a Google map on the contact page. Our Magento 2 extension for contact us with Google maps provides text field to submit the address. The admin needs to provide the Google Maps API key. These are two major inputs required for by our Magento 2 Contact Us Map extension to work. The Google maps module will then provide your business location on Google Map. 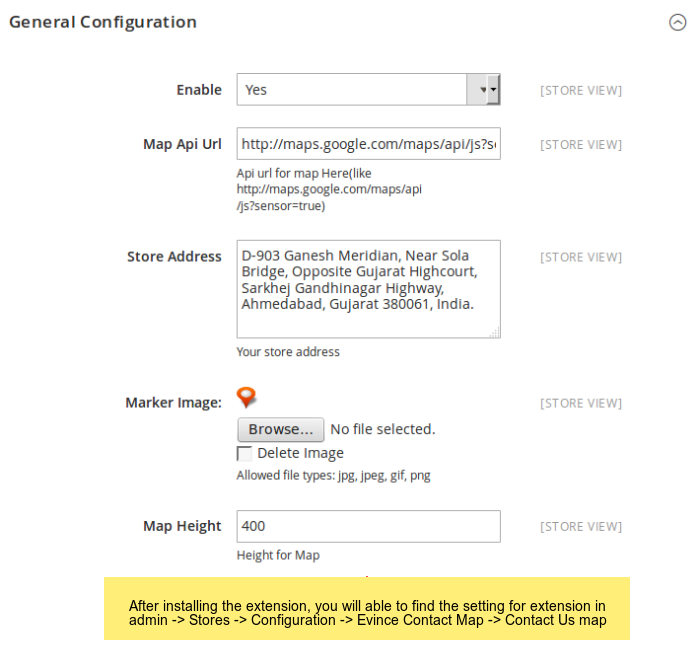 Our Magento 2 extension for contact us with Google Maps provides options to the admin to select the size of Map being displayed by the Contact us map extension. 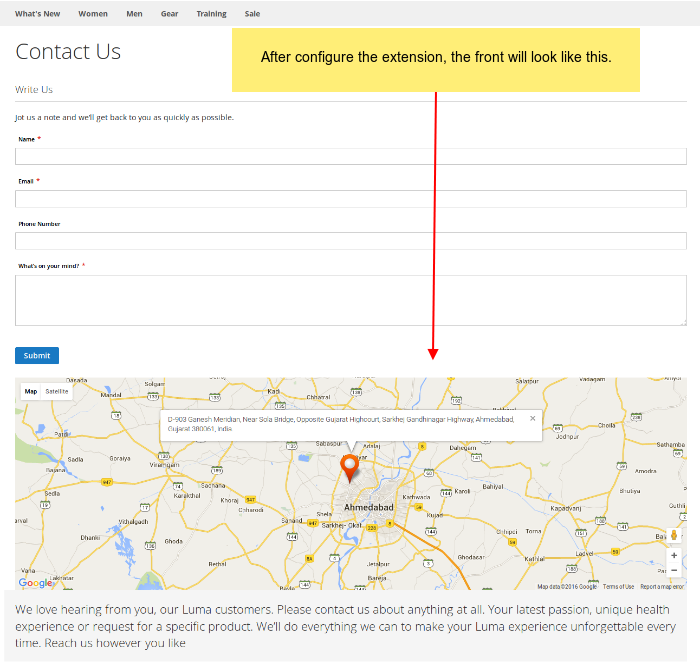 This feature allows the admin to adjust the map size on the contact us page with respect to the design and branding. To make your business location clear and precise, our Google maps extension for Magento allows the admin to upload custom marker to specifically point the location of the map. The admin as per his choice can upload the market that suits the design and branding of the store. Our Google maps extension for Magento is programmed to operate across all the Magento 2 extensions. No matter what is the version of your Magento 2 store, our Magento 2 Contact Us Map extension is easy and flexible all Magento 2 versions. The admin can easily install and configure Magento 2 Contact Us Map extension. The admin just needs to “Enable” the extension form the “Configuration” section of stores. This is all to configure the extension.